AEA Talent is another beautiful colt by the already well known AEA Tuschinksi. 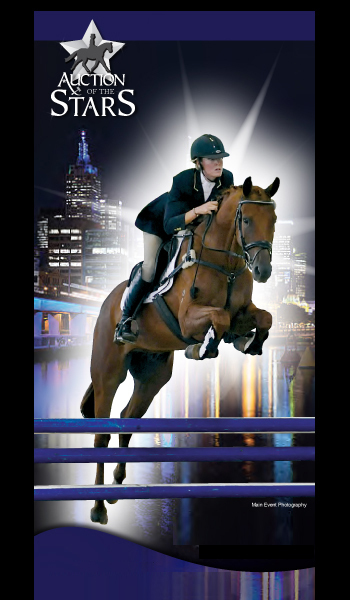 AEA Tuschinski�s sire Tuschinski carries serious Dressage bloodlines from Krack c, Flemmingh and in the Dam line Gribaldi who is the sire of the world record breaking Moorlands Totilas who was ridden by Edward Gal, as well as Anky Van Grunsven�s Painted Black. With Gribaldi�s recent tragic death, this bloodline is like precious diamonds. Rituel who needs no introduction is on dams side and is a producer of many dressage horses. 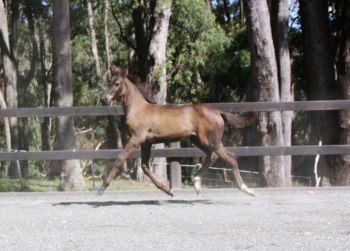 AEA Talent is the full brother to AEA Talbot who was sold to an FEI dressage competitor from Qld. It doesn�t get much better than AEA Talent. Look at his photo � all 4 feet are off the ground!